Florence Town Hall is located along Highway 61 in Frontenac Station. The land to build the town hall was donated by Israel Garrard--a wealthy sportsman who established nearby Frontenac--in 1875. An addition to the tiny hall was added in 1916 that included a stage, dressing rooms, and an indoor bathroom. Tourism brought both performers and an enthusiastic audience to theatrical productions here. By the end of the 1916 tourism season, the Frontenac Dramatic Club had raised funds to add a coat check, ticket booth, and balcony with additional seating to make the hall more comfortable and convenient for audiences. 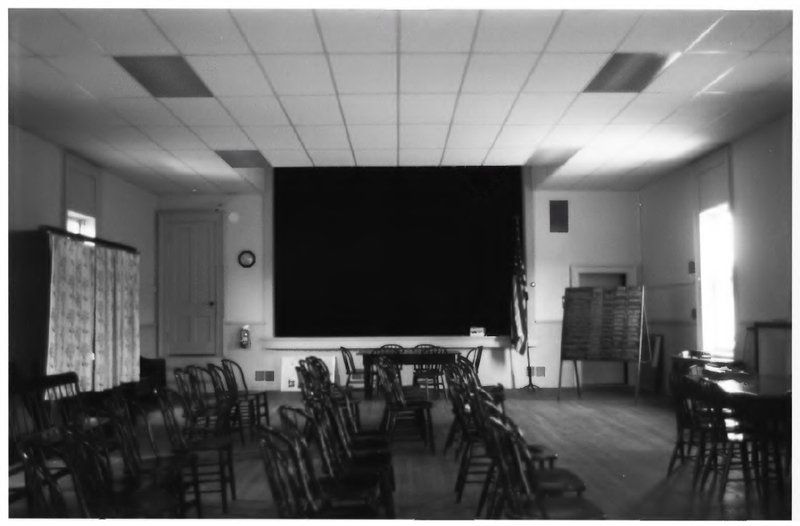 The hall also provided meeting and fundraising space for local organizations including the Modern Woodmen, Red Cross, and the Frontenac Cemetery Association. Hall use was free for charitable functions, meeting, funerals, weddings, and parties. A $1.50 fee was charged for all other uses--except for dances which were charged $2.00. By 1922, dances were no longer allowed at the Florence Town Hall because they often caused rowdiness and disorder at and around the hall.